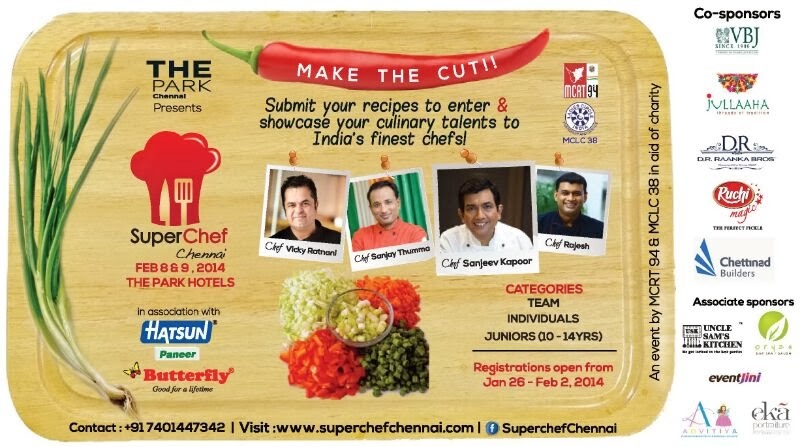 Want to showcase your cooking skills? OK, I got an email about this contest and it looked very interesting, especially the part where it is organised by the Round Table guys and every single penny goes to a noble cause. So, there are the details as given by the organising guys. goes to their various charities. Thumma as well as by The Park’s very popular Chef Rajesh Radhakrishnan. recipe along with their registration forms. Day 1, namely, the Prelims day on the 8th will be held at The Park Hotel and will have a quiz to test the culinary knowledge of the shortlisted participants and Day 2, namely, the Finale day, on the 9, have the Live Cooking segments for the finalists.